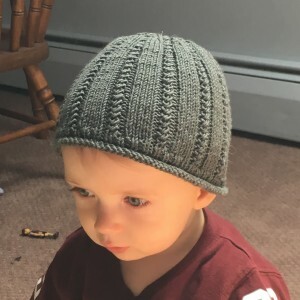 Get your exclusive free pattern, Camello-Merino Baby Hat by Marina Shumway! 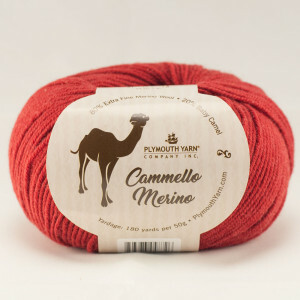 Our sales rep Warren’s wife, Marina, loves new Cammello-Merino so much, that she just had to make something with it! 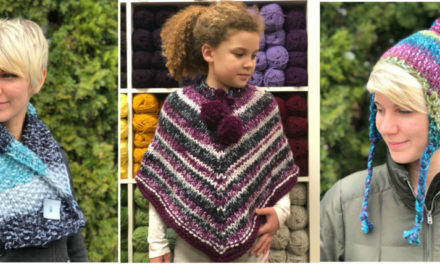 Lucky for us, they have two beautiful sons who don’t mind modeling some knitwear! This is Marina’s original design and we adore it! It only takes one ball so you can make yours this weekend! Cammello-Merino comes in 10 lovely colors and it’s moderately stretchy, so it works well in colorwork and cabling. We can’t help you find a model as adorable as Peter but you can try! Needles: US # 4 16” circular needles and a set of double pointed needles in the same size or different size to obtain gauge. Supplies: Stitch marker; tapestry needle. 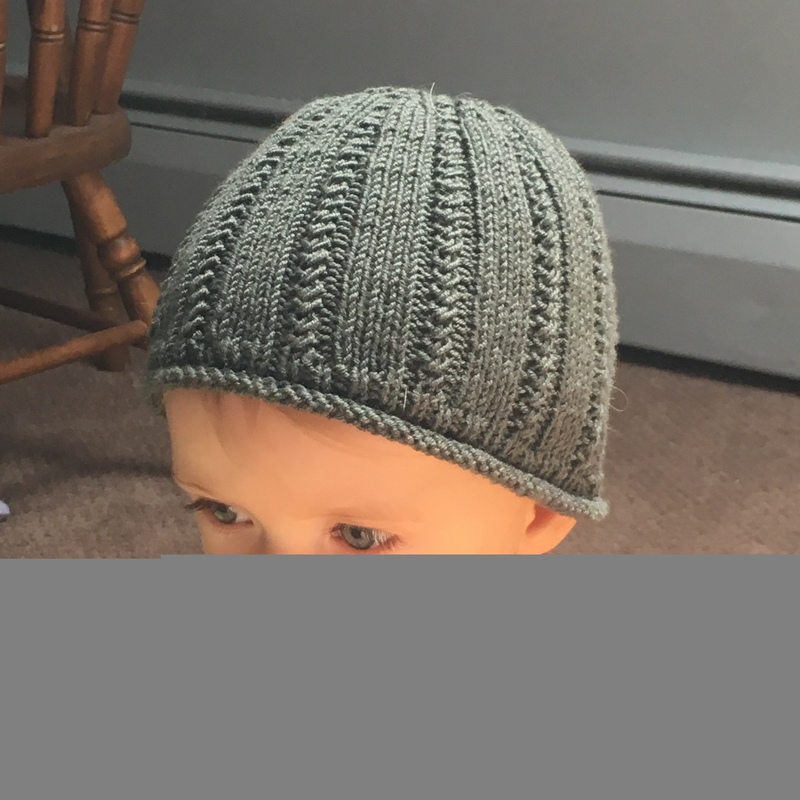 K2tog: Knit two stitches together as one. 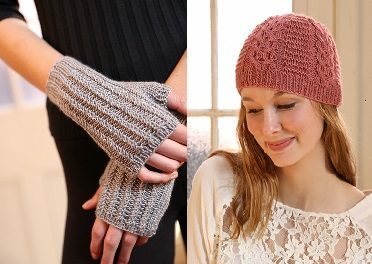 Ssk: slip the next2 stitches to the right-hand needle one at a time as if to knit: return them back to the left-hand needle one at a time in their new orientation: knit them together through the back loop. Tw2: Take the working needle and insert it into the 2nd stitch on the main needle knitwise, wrap the working yarn around the working needle and pull the working yarn through the stitch (leave stitches on the main needle). Take the working needle and insert it into the first stitch knitwise, wrap the yarn around the working needle and pull the working yarn through the stitch, slide both stitches off the main needle. CO 96 sts, place a marker and join being careful not to twist the stitches. Knit the next 5 rounds. Cut yarn leaving an 8” tail, thread it onto a tapestry needle and sew it through the remaining stitches twice. Pull tight to close the hole at the crown. Bring the tail to the inside and weave it in. 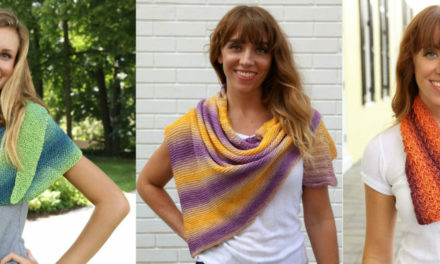 Weave in any remaining ends.